Hotspots is a new magazine that brings you all the latest news in the global Holstein industry. Subscribe via mail or view online. Sign up for our email newsletter and receive industry insight, news, and updates. Your email address will not be shared with any third party, and you can easily unsubscribe at any time. 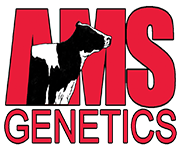 Just added to the lineup of the Online Embryo Auction are early DIVERSITY (GTPI+2856 / +1057NM$) embryos backed by >2750 donors. Lot 24 are early DIVERSITY embryos from a huge indexing FRAZZLED daughter that scores +2755 GTPI and +950 NM$ with huge production from the Rud Zips. Lot 25 are DIVERSITY backed by a +2757 GTPI Charley daughter with low SCS and SCE and high +7.2 PL, next dam is by Delta and from an OUTCROSS line back to Manfred Yadda! Copyright 2019 Holstein Plaza. All Rights Reserved.